Applies a length of tape from the side to the bottom of a box creating a secure and economical closure. Perfect for many packaging applications. Activated by simply pushing a box against a micro-switch. Seals most types of boxes including chipboard and corrugated. 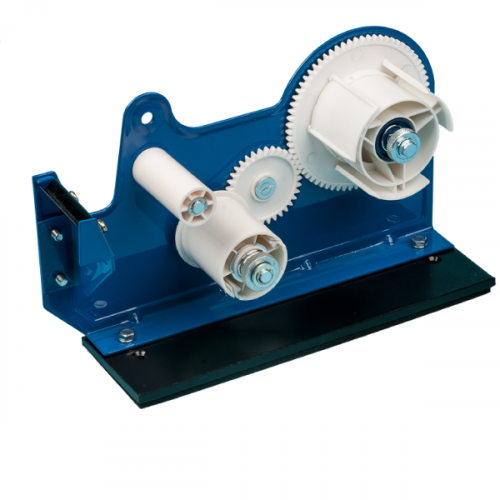 Works with filament, reinforced and non-reinforced tapes up to 2″ wide. 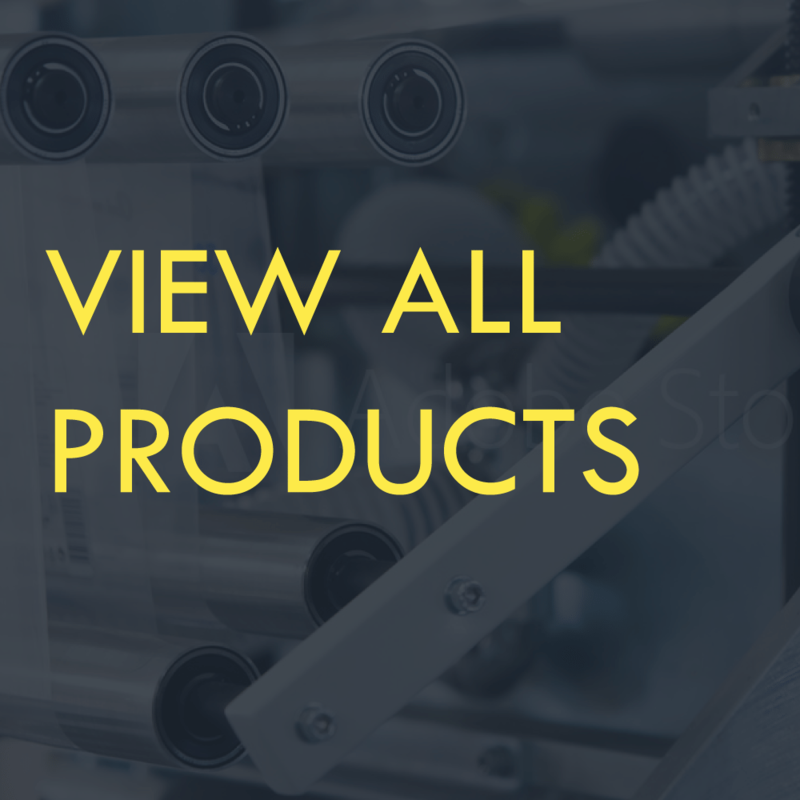 Can feed up to 3 3/4 inch tape for a secure closure. Heavy duty construction and small table top design. Can be flush mounted to a table. Economical, saves tape and increases productivity. The Tach-It Model #6425 L-Clip Box Sealer securely applies various lengths and widths of most types of packaging tapes, including filament tapes, up to 2 inch wide from the side to the bottom of a box. 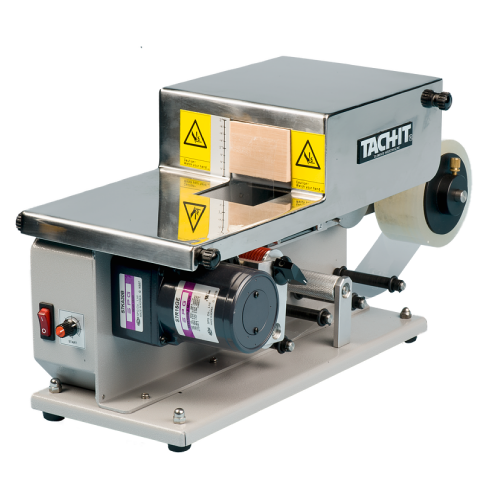 Perfect for sealing all types of corrugated, chipboard boxes and cartons, the Tach-It Model #6425 is simple to use. The operator places the box to be sealed onto the platform of the machine and pushes the box forward against the upper pressure pad. This actuates the machine and the desired length of tape is securely applied. 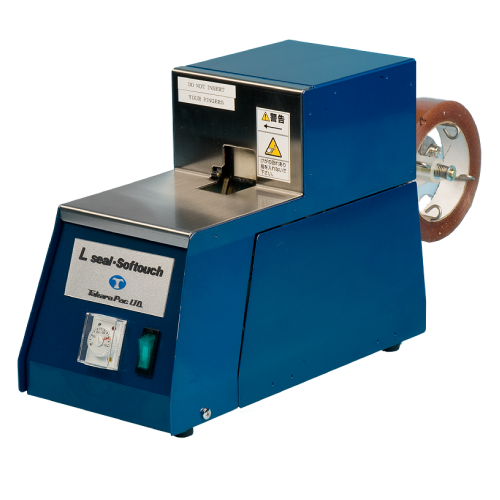 Using only 110 volt AC and most industry standard tapes including filament tapes from 1/2 inch wide up to 2 inch wide, the Tach-It Model #6425 can seal up to 40 packages per minute increasing operator productivity over hand taping, is easily adjusted for tape length and width, requires no training or tools for tape changes, and has a small table top design which allows it to be used anywhere it is needed.